Despite being primarily a US-facing poker site, BetOnline Poker has chosen to call its first tournament series the Global Online Poker Series (GOPS) to reflect the site´s world-wide appeal. The series itself is modest, but plenty of opportunities exist for players to qualify cheaply for the $200,000 Main Event. It seems incredible that, after so many years of providing a service to online poker players, this will be BetOnline Poker´s first tournament series – but it is true! The Global Online Poker Series gets underway next Sunday (March 11th) and features a modest schedule of eighteen events over the following week, guaranteeing a minimum of $532,000 in prize money. Although the series itself may be modest, there is plenty in the schedule to attract the interest of players – particularly the $250 buy-in Main Event on Sunday March 18th, which not only has a $200,000 guaranteed prize pool (BetOnline Poker´s most valuable guarantee ever), but which offers a range of innovative qualifying paths starting at freeroll level. 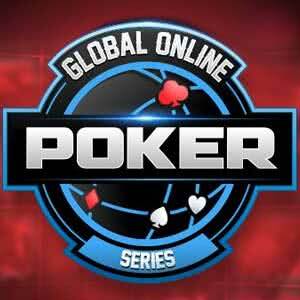 The Global Online Poker Series schedule consists of two tournaments each day over the first six days, with three tournaments on the final Saturday and Sunday. Although mostly consisting of re-entry or re-buy and add-on events, the late registration periods are fairly short, so the freezeout element of each tournament will start much earlier than in some big tournament series. Unusually BetOnline Poker is not supporting the Global Online Poker Series with a satellite schedule. Instead it is hosting multiple Sit & Go qualifiers, which – for the lower buy-in events – are winner takes all “All-In” Sit & Go games of between four and twelve players. The bigger buy-in events have Steps programs supporting them; which – for the Main Event – starts at freeroll level. Daily $33.00 buy-in satellites at 5:00pm (PT)/8:00pm (ET) guaranteeing three seats for the target event. Five-times-daily $22.00 buy-in Re-Buy and Add-On satellites guaranteeing two seats for the target event. From March 12th-16th, time-limited satellites with a $25.00 buy-in guaranteeing one seat for the target event. On Sunday March 11th at 9:00am (PT)/12:00noon (ET), a $55.00 buy-in Mega-Satellite guaranteeing fifty seats for the target event. The freeroll route into the Main Event starts on Friday March 16th, when BetOnline Poker will be hosting a freeroll tournament guaranteeing twenty seats into a turbo “Step 1” 6-Max Sit & Go satellite. The winners of Step 1 satellites qualify for “Step 2” 5-Max Sit & Go satellites, which feed into “Step 3” 5-Max Sit & Go satellites. The winner of each Step 3 satellite will win a seat in the Main Event. Each of the Steps can be bought into directly for the buy-ins of $3.00, $15.00 and $60.00. Although the coinflip Sit & Go games may not yet have taken off, there are some great opportunities to qualify for the GOPS Main Event via undersubscribed satellites currently running at BetOnline Poker. Take advantage of these satellites while the opportunity exists by visiting the site today; and, if you have not already funded your account, read our review of BetOnline Poker to see how you could be eligible for an exclusive 200% bonus on your first deposit.